Keep track of all key procedures, get a helpful overview of the most important steps to take before, during and after moving, and find plenty of tips, insights and information from MoneyHub about life in New Zealand. The Good News: New Zealand is beautiful, sparsely populated, friendly, honest, known for its efficient bureaucracy and unlike anywhere else on earth. The Bad News: Costs in New Zealand can be eye-watering; housing, food and petrol prices can shock new arrivals. ​You have packed everything up and want to move to New Zealand with your belongings? Customs are notoriously rigorous when entering New Zealand so plants and animal products will usually need special screening. If you move to live in New Zealand, you won't be charged an import duty on household items, but you’ll need to declare ALL your belongings and, where applicable, pets that you are bringing with you. New Zealand has very strict bio-security rules, meaning that restrictions are in place for wood products, animal products and a variety of other items arriving into New Zealand. A number of products are banned outright. To understand what you can and cannot bring with you to New Zealand, visit the Ministry of Primary Industries' moving to New Zealand guide. 1. Prepare an Inventory - you'll need to draw up a list of your objects when packing your household goods and furniture, and New Zealand Customs will assess this inventory list. It will also help if you plan to take out contents insurance. Our contents insurance comparison guide is useful if you want to insure your personal belongings. We compare all the insurers and their policies to help you find the right insurance cover for your belongings. 2. Complete declarations - The Ministry of Primary Industries' moving to New Zealand guide details the customs forms you'll need to complete, including any further forms. Once your items arrive in New Zealand, they will undergo border clearance. If you've declared everything there should be no problem - customs officers screen the declarations, along with the list of contents against any relevant import health standards to determine the risk status. Read the import health standard (IHS), guidance document and checklists for cats and dogs AND check that your cat or dog is eligible for import into New Zealand – refer to the guidance document. Please note: Banned dog breeds include American Pit Bull Terrier, Dogo Argentino, Brazilian Fila, Japanese Tosa and Perro de Presa Canario. If your dog is one of these breeds, it cannot be imported to New Zealand. The Department of Internal Affairs provides further details on the importing of animals. Having moved your pet to New Zealand, pet insurance is a sensible idea as it can become very expensive should you need to have your dog or cat treated by a vet if it falls ill or suffers an accident. Our guide to pet insurance compares all the insurers and their policies to help you find the right insurance cover for your pet. Your first night in New Zealand may be with a local friend, family member or at accommodation you booked in advance. If you’re arriving without friends or relatives to stay with, websites like Airbnb and Booking.com offer a range of affordable options for short-term stays. It’s unlikely that you will arrive with your household goods at the same time, so getting a place to live should be priority in what is quite a competitive market. If you’re moving to New Zealand by yourself for a short period such as 1-2 years, a flatshare (which means a room in a shared house) may be the best option to keep costs down. It’s also easier as the electricity, internet and furnishings are already in place. If you’re a couple, many flatshare listings will say “no couples” limiting the options available. 1. Search: TradeMe, New Zealand’s equivalent of eBay, is the country’s go-to place for rental property listings. A rule of thumb for determining a budget is that rent should not exceed one-third of your net income. For example, if your after-tax income will be $600 per week, your rental cost should not exceed $200. If you’re looking for a shared house, click on the “Flatmates” tab on TradeMe. 2. Viewing: It’s really important to view a property and give it a good check over. Many New Zealand properties have damp and draft problems. If you are interested in a flat, it is always worthwhile to view it and take the first possible appointment for a viewing if you can. With a housing shortage in many areas of New Zealand, the best and cheapest flats go quickly. 3. Application: If you like the property you visited, it’s priced within your budget and you are comfortable with living there, it’s best to apply right away. Applications are generally processed according to the order in which they were received. Completed Tenancy agreement - if you're renting your property, this will be supplied by the letting agent or landlord. Flat/houseshare agreement - if you're renting a room, you'll sign an agreement which covers how much rent you'll pay, common expenses and due dates. Bond lodgement form - you'll pay a bond, or deposit, of 3-6 weeks rent so you'll need to have this money available right away. When you move out, an inspection is performed and you will get back the bond less the cost of any damage you have caused. There are two different types of tenancies available in New Zealand - fixed term and periodic. Fixed term means you're given a start date and an end date, which cannot be terminated unless it is agreed to by you and the landlord. Periodic means there is no fixed term, but you can give 21 days notice to leave and the landlord can give either 42 or 90 days notice. Built-in kitchen: Every home is equipped with the basics such as an oven and sink. Full cleaning before moving in: And when you move out, you’ll need to clean it to the same standard as when you moved in. Bonds and damage: Inevitable wear in a property is considered normal and is already accounted for in the rent. Larger-scale damage and above-average wear get charged to the tenant by way of the landlord or property manager deducting an amount from the bonds paid. Comparing options pays off when you are looking for the right mobile phone network. Generally speaking, prepaid (or pay-as-you-go) plans are considerably cheaper than paying monthly plans. Our guide to the best SIM-only mobile plans compares the providers and plans on offer. Generally, the market leaders such as Vodafone and Spark tend to be more expensive than others. Landlines are relatively rare in rented properties, meaning tenants do not choose to install them and instead rely on their mobile. However, some internet providers may need to connect a phone line as part of the process of installing broadband. New Zealand has a large network of high-speed fibre optic and broadband, with lots of competition among the providers. Our broadband comparison explains everything to know about getting online with the right provider for the best price. New Zealand has 50+ electricity retailers and the industry is heavily regulated meaning ‘fair’ pricing is a priority. The majority of New Zealand’s electricity is generated from hydro lakes. During winter, the demand for electricity is significantly higher than in other seasons and the price of every unit used increases. Our guide to switching power companies guides you through everything you need to know. 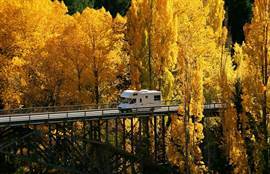 From the date you arrive in New Zealand, you'll have 12 months to drive with your existing driving licence. If your licence is not in English, you'll need to arrange for a translation. It's also a very good idea to familiarise yourself with the New Zealand road code. If you plan to stay in the country longer than 12 months, you'll need to convert your licence UNLESS you fly in/out of New Zealand at least once every 12 months. The process of applying for a driver's licence conversion is relatively straight-forward. The New Zealand Transport Authority's conversion guide outlines what is required. Best of all, if you have a driver's licence from one of 24 countries, you won't need to sit a theory and/or practical test. Our guide to buying a used car in New Zealand walks you through the different options when it comes to finding the right car for the best price. New Zealand law is unique in that car insurance is not compulsory, but we recommend at least getting third party car insurance to protect other drivers. Our car insurance comparison guide covers all the big insurers and their policies, making it easy to pick the right coverage for your needs. Every year, all vehicles are required to undergo a series of tests to ensure they are roadworthy – the fee is usually between $25 and $50. Check out the Ministry of Transport website for further information. Very few roads have tolls in New Zealand, so it’s unlikely you’ll need to worry about setting up any arrangements when you purchase a car. The price of fuel hovers between $2.00 and $2.50 per litre, with Aucklanders paying more due to a specific petrol tax. Petrol station chains such as Mobil, BP and local operators can be found all over the country. Generally, petrol is cheaper in major cities compared to inland regional centres. You qualify for subsidised public healthcare if you are a citizen, resident, hold a work visa that is valid for two years or more from the date you arrive, or hold a work visa and have legally resided in New Zealand for the last two years. With any public healthcare system, there are waiting lists and priorities. For these reasons, health insurance is not compulsory but recommended to newly arrived immigrants until they become settled in New Zealand. Our health insurance comparison guide covers all the big insurers and their policies, making it easy to pick the right coverage for your needs. Once your account is set up, you can transfer up to the equivalent of $1 million NZD into your bank account before you arrive. The bank will provide all the details, with money transfer websites like TransferWise or your home-country bank being a good place to start for the best FX rate. Before picking a bank, we suggest looking at each banks’ fees, interest rates and other terms and conditions. KiwiBank, for example, offers a fee-free bank account called 'Free-Up'. Unlike other countries, you won’t need to nominate a local branch either. Upon arriving in New Zealand, arranging a face-to-face meeting with your bank means a visit to the branch of your choice. It’s a good way to introduce yourself and establish a professional relationship. You can arrange with your bank to have an overdraft set up. However, this is normally only worth doing if you plan to go overdrawn in the near term as you'll need to pay an overdraft facility fee (see our comparison of overdraft fees and interest rates here). Most banks will limit you to $100 or even a lower overdraft limit until you have regular income. EFTPOS stands for Electronic Funds Transfer at Point Of Sale, and is a payment system involving electronic funds transfers based on the use of payment cards, such as debit or credit cards, at payment terminals located at points of sale. This is the main way of paying at physical retailers in New Zealand - if you see an EFTPOS terminal, you can use an EFTPOS card (like a bank debit card) or a debit card. Most retailers also accept credit cards. If you see an EFTPOS terminal, you'll always be able to use a debit card and unless it says "no credit", you can use a credit card too. Credit cards are widely accepted throughout New Zealand, with Visa and MasterCard being the most popular brands. Applying for a credit card as a new arrival is usually possible, but your limits may be low (i.e. $500) given a lack of credit history. Read our guides to best credit cards and credit scores for further information. The website 'New Zealand Now' is a government initiative and has the most comprehensive guidance on looking for work in New Zealand. The minimum wage for adults in 2018 is $16.50 an hour, or $660 for a standard 40-hour work week. If you are working in temporary or casual employment (i.e. only being paid for the hours worked), you won't be paid for public holidays but will have the other benefits those in full-time employment factored into your hourly wage. Workplace insurance cover is automatically provided to anyone working who has an accident, as set out under the Accident Compensation Act 2001. ACC insures a single employer against accidents, with employers deducting the cost of ACC from employee salaries and wages. In 2018, it was $1.20 per $100 earned. ACC is fairly unique and is intended to replace the need to have workplace or individual worker insurance, given everyone who works contributes to a system that treats everyone equally. PAYE deduction – PAYE stands for pay-as-you-earn and represents the government income tax you pay. 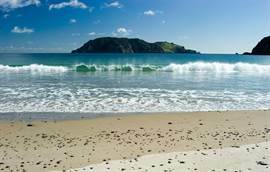 Income taxes are fairly simple in New Zealand and follow these thresholds. There is no tax-free allowance. KiwiSaver deductions – this is New Zealand’s voluntary superannuation scheme, and members can contribute 3%, 4% or 8% of their salary to their chosen provider. Expense reimbursement: If you’ve incurred expenses in the course of work (e.g. business travel, driving mileage, parking), approved expenses are usually paid out with salary payments. The Inland Revenue Department, or IRD, is New Zealand’s tax authority. Every year, a personal tax summary (PTS) is available to every taxpayer which details their income earned and tax paid. Our guide to tax refunds provides a step-by-step summary of how to follow the process outlined by the IRD. Always say "please", "thank you" and "you're welcome": New Zealanders are polite and respond well when courtesies are returned. Walking in the wilderness: Mountain trekking and walking opportunities are found everywhere in New Zealand; keeping safe is the number one priority. A small amount of rain can cause rivers to quickly flood, and snow can fall year-round in some places. Walks range from light trails through native bush to alpine crossing. Being properly equipped is essential – for a day walk you’ll need good hiking boots, a light backpack with and enough food, water and warm clothing, as well as high SPF sunscreen. 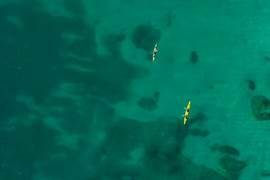 Hundreds of people have died all over New Zealand by making simple mistakes when out enjoying nature – stay safe by being sensible and avoiding the need to take risks. Meeting people for the first time: When meeting somebody for the first time in New Zealand, it is customary to shake hands and make eye contact while saying ‘nice to meet you’ or similar. When meeting the same people in the future, a handshake is sufficient. 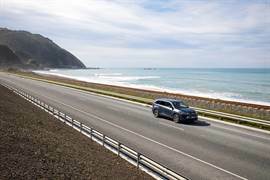 Driving: New Zealand roads outside of large cities such as Auckland and Wellington are largely two-lane with speed limits capped at 100 km/h. Kiwi drivers frequently exceed this, and even 110 km/h is often seen to be within the limits of speeding tickets. If you’re unfamiliar with a road, don’t speed – you’ll otherwise run the risk of crossing the centre line if a road changes suddenly. 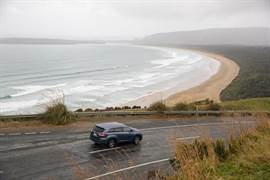 Kiwi drivers can be impatient with ‘slow’ drivers and curvy roads offering limited passing opportunities don’t help; pulling your car over to the side safely is much appreciated to let cars behind you pass. You may receive a ‘double toot’ from one or more vehicles, which is a gesture of appreciation. Small talk: New Zealanders are big on small talk; topics of interest include rugby, the weather and holidays. New Zealanders will also be interested in what you think about their country, and which places are ‘best’. Engaging in political discussions isn’t advised unless you know the person you’re talking to reasonably well. Working culture: As a rule, New Zealanders work efficiently and productively, and are serious about what they do. Problem-solving is often achieved collectively, rather than the responsibility being placed on one person. The work day starts at 8:30am in most offices – showing up any time after 8:45am will be deemed to be taking advantage of the employer and will not win any favours with co-workers if the behaviour is repeated. New Zealanders shy away from confrontation and do not engage in behaviour that blames someone directly, raises voices or is directly critical of someone’s job performance. BBQs: A popular New Zealand social gathering revolves around a BBQ. When you are invited, many times you’ll be told to “bring a plate”. This doesn’t mean a plate with nothing on it, but a plate of food you’ll share with everyone. If “bring a plate” wasn’t mentioned, it’s still good manners to bring the food and drinks you will consume. This would usually be a 6-pack of beer or a bottle of wine, and some frozen meat or similar to cook on the BBQ. Tipping and service charges: Tipping is relatively uncommon in most New Zealand restaurants, bars and cafes, and certainly the practice doesn’t follow the American or European ways of doing things. Firstly, there is never an added service charge – the menu prices you see are what you’ll be charged. Secondly, if service is excellent and you’re feeling generous, a tip is welcome and some places will have a tip jar. Tipping $5 on an $80 bill is as acceptable as tipping $5 on a $200 bill – there is no percentage and tips are usually shared evenly by all staff members. Day to day orderly behaviour: New Zealanders believe in lines. When you board a bus, pay for something at the supermarket or attend an event like a sports match or a concert, the order of the line decides who goes in first. Pushing in or being impatient will be seen as rude, even if it’s unlikely that someone will tell you directly. Confrontation: New Zealanders shy away from abrupt behaviour; if you find yourself in an uncomfortable situation, remain polite and patient and calmly work through your issue. Losing your temper publicly is rare in New Zealand and won’t help to solve any tricky situation. Stinginess: New Zealand is a high-cost economy, so it’s likely you’ll need to adjust to comparatively higher supermarket prices and clothing costs. Despite the costs, criticism is only made by the media. Making a complaint to the retailer or shop staff about the price of goods won’t be received well, and the person complaining will be viewed to be miserable and rude. Talk about wealth: New Zealanders won’t respond well to anyone who boasts or brags about their income, property, luxury car or luxurious holidays. New Zealand may be a young country but there is growing inequality and with a so-called housing crisis many locals are squeezed. Boasting about what you earn or own may lead to resentment and will almost always be seen as rude. Loudness and rudeness: New Zealanders are conservative and shy - complaining or telling jokes loudly, shouting into a phone or talking above the maximum acceptable level will be seen as rude, unfriendly and egocentric. Being late: Being more than 15 minutes late is unacceptable. If you agree to meet at 12pm and believe you will be late, it’s good manners to notify the person about your delay at least 30 minutes before. In business and for appointments in general, New Zealanders are on time - being late by even 5 minutes will need to be apologised for. This is perhaps the biggest complaint of new arrivals. Because of its location and changing seasons, fruit and vegetable seasons do not last long. For example, a cucumber will be 50 cents in season, and up to $5 out of season. The same can be said of many other fresh produce items. One way to lower the supermarket bills is to look for local farmers markets - these sell directly to customers and are usually held on a Saturday. Also, fruit shops often undercut supermarkets and can offer better deals overall. Eating what's in season is also a smart idea - avocados cost as much as $5 out of season, or as little as 25 cents in season. And lastly, there's also the option to grow your own vegetables if you have a property with a suitable area. It's an unusual phenomenon, but "tall poppy syndrome" is very much ingrained in ​the culture, though you won't notice it so obviously. The term is defined as when "people of high status are resented, attacked, cut down or criticised because they have been classified as superior to their peers". 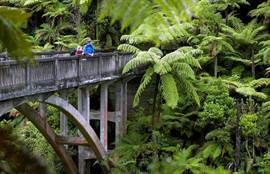 New Zealand's great outdoors are legendary. Unlike Europe, Australia or the Americas, you will rarely see a parking ticket machine at a beach or nature trail. You'll find public walking trails all over the country, largely managed by the Department of Conservation, which has an excellent guide to day hikes and short walks. New Zealand may have a slow way of life, but it's fast-paced when it comes to dealing with public services and private entities. Need to get a tax number? That's easy. As is opening up a bank account, buying insurance, registering a pet, getting a driver's licence, registering a car, paying tax and getting a credit card. Best of all, New Zealand is service-focused and prefers enquiries to be handled face-to-face or over the phone. New Zealand has four primary cultures; Pakeha (European white), Maori (the native population and first settlers), Pacific Island (settlers from South Pacific countries such as Samoa, Tonga and the Cook Islands), and Asian (predominantly mainland Chinese, Filipino, Korean and Indian). There are of course people from nearly every country on earth, but you won't likely notice this in your everyday interactions. Pakeha are the dominant race throughout the country. And outside of Auckland, multiculturalism generally doesn't exist - Pakeha dominate as a proportion, with Maori and minority races making up the rest. The further you head south, the more Pakeha it becomes. For example, Auckland has a vibrant Indian community, mosques and four synagogues - you'll struggle to find such diversity in other cities. New Zealanders are friendly, but many in their 30s and 40s, and even in their 20s, have established friendship groups. Because of New Zealand's geographic position and colonial history, many Kiwis will either live their entire life in New Zealand or move to England or Australia for a short period. When they return, they'll often live in the same city as their family. They'll invariably reunite with the same friends they had before they left as well. In the last few decades, New Zealand as a whole has become less of a community and more individual/family focused. For this reason, you may find it easier to establish friendships with other migrants in the first instance. 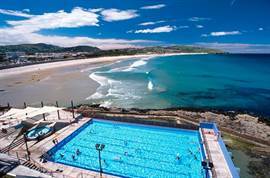 But all is not lost - sports clubs, recreational groups and events are all good starting points to make friends. Because of its location, New Zealand gets ever-changing weather. In parts of the South Island, you can go from a sunny morning to afternoon snow followed by a big freeze. Wellington can be miserable for months on end during winter, and cities like Dunedin and Christchurch have long dull winters. Be prepared by bringing clothes for all seasons, and have expectations that despite the tourism photos, you're not moving to a tropical island. After the indigenous Maori population, New Zealand began to be settled in the 1800s by European settlers. As the Ministry of Culture illustrates, the total population has tripled since the 1950s. For this reason, you'll be at home as a new arrival - 200,000+ people with new work visas entered the country between July 2017 and June 2018. New Zealanders love sport; cricket, rugby, tennis, netball and football/soccer clubs exist all over the country. Facebook is a great way to search for local opportunities, meet new friends and establish a routine as you settle into Kiwi life. Unique to New Zealand, and often foreign to European countries, people are very welcoming at a personal level – you go into a shop and people talk to you, and it's not superficial. People make time to listen, understand and genuinely reach out. It's all typically New Zealand and in that sense hard to define, but the experience is rare to find in other countries and cultures. Choosing where to live in New Zealand really depends on what you plan to do for work. Many short-term residents of New Zealand (i.e. 1-2 years) pick Auckland or Queenstown. 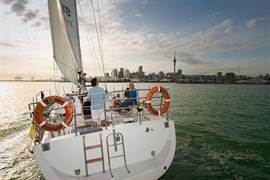 Auckland has the advantage of being the biggest city (1.5 million people) and offering the largest number of jobs. 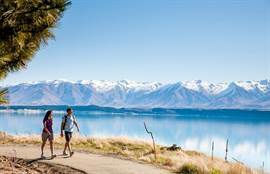 Queenstown is New Zealand’s most popular holiday destination, and seasonal work is usually in demand. 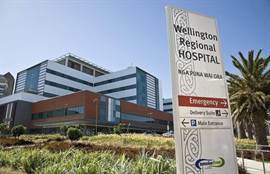 But there are many regions of New Zealand gaining favour with immigrants. 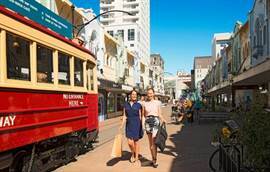 Every part of New Zealand is different; at the heart of a region is usually a main city which provides all the retail and business services. Christchurch is at the heart of Canterbury and New Plymouth provides all services for Taranaki. Cities like Wellington and Queenstown have their own micro-culture. Generally, the further south you are, the cheaper the cost of housing, with some exceptions. We've not put together a guide on where to live as it will be a personal choice. Most people moving to New Zealand pick Auckland as their first home. Moving to New Zealand will be an adventure, but it also can be a big life change for many migrants. There is a lot of free help on offer to solve problems and help you adjust, as we outline below. The Citizens Advice Bureau offers free assistance in a range of issues in locations all over New Zealand. The government-initiative New Zealand Now has a useful help page for new migrants, covering healthcare, schools and employment. Have you moved to New Zealand and have a tip or something useful to share with our readers? Send our team an email - we would be delighted to hear from you.